Meet Nono! 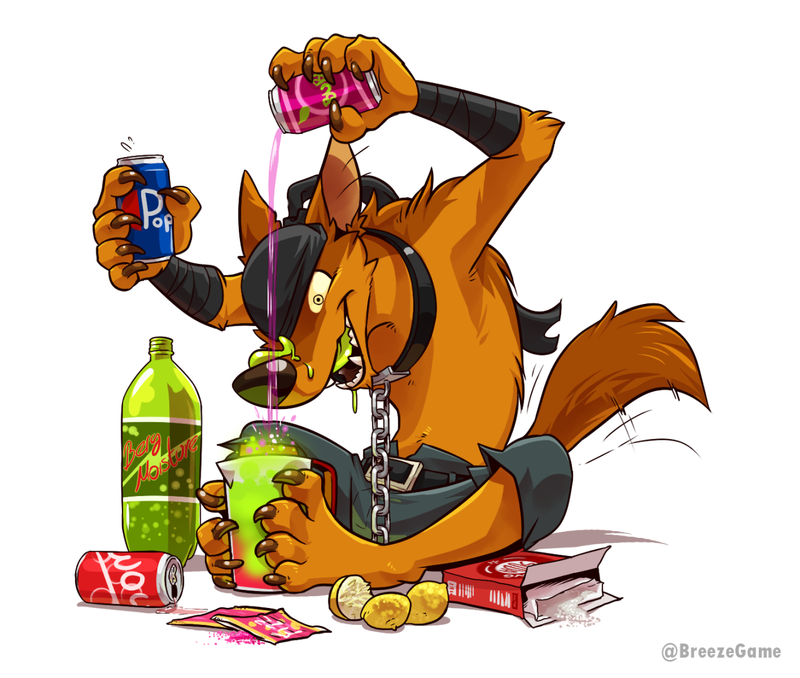 The coyote with a sweet tooth (and maybe a thirst to quench). Nono is the representative for Nitrogen Dioxide in the Criterion Crew. 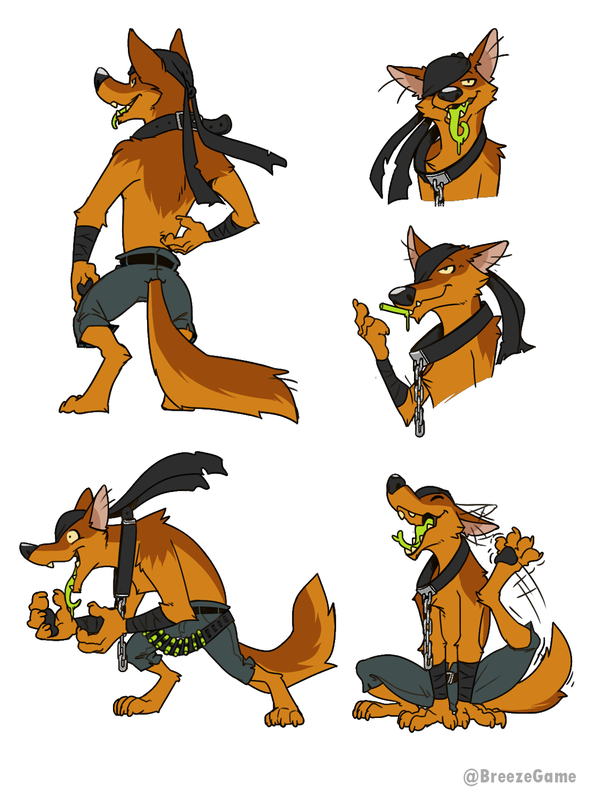 Nono is a weird and quirky coyote with scrambled morals and processes. He’s is a bit of a stalker, and will chase down things he’s interested in. He’s a perfectionist at heart, and completely loses focus when he makes mistakes. 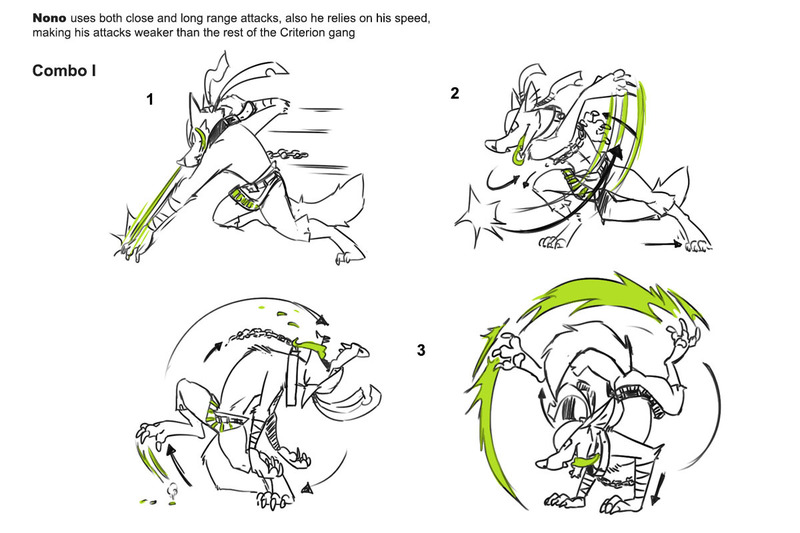 Nono is typically sent out for tasks that involve collecting or tracking things, and will commit to every detail, despite what it might get him into. 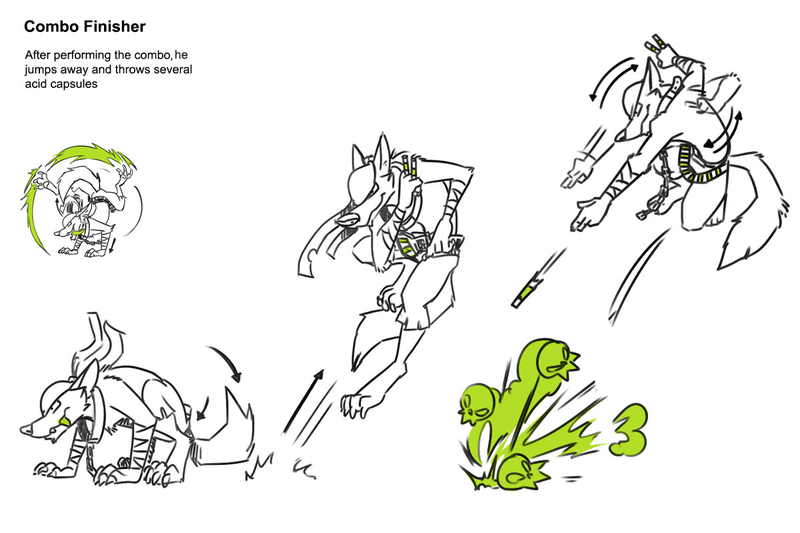 In battle, Nono it very nimble and calculating, able to dodge and execute attacks at weird angles, and latch on to things, such as the side of walls. His drool is fairly acidic, and he can store his saliva into capsules that can be thrown at targets or into other liquids in the area, causing them to become acidic! As a hobby, Nono loves mixing together various beverages to come up with the “perfect taste”, though, most of them come out terrible (he drinks them anyway).